How many of you remember picking out the conversation hearts and giving it to your best friend or the kid you liked? I know I did, and then 20 years later my kids can give bigger candies like Hershey’s Kisses Conversation Candies and Reese’s Conversation Cups. My daughter loves to give personalized candies out and this year she is having fun picking out who gets what, she has changed them a couple of times. 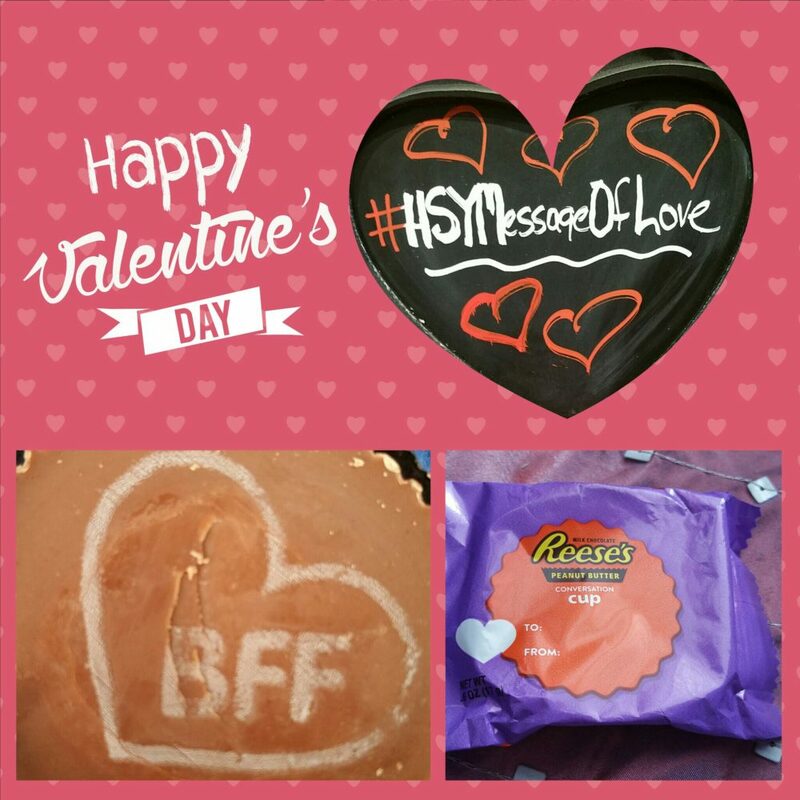 She is making her valentines cards this year, so the conversation candies came in handy. She also had other ideas for the candies- see below! 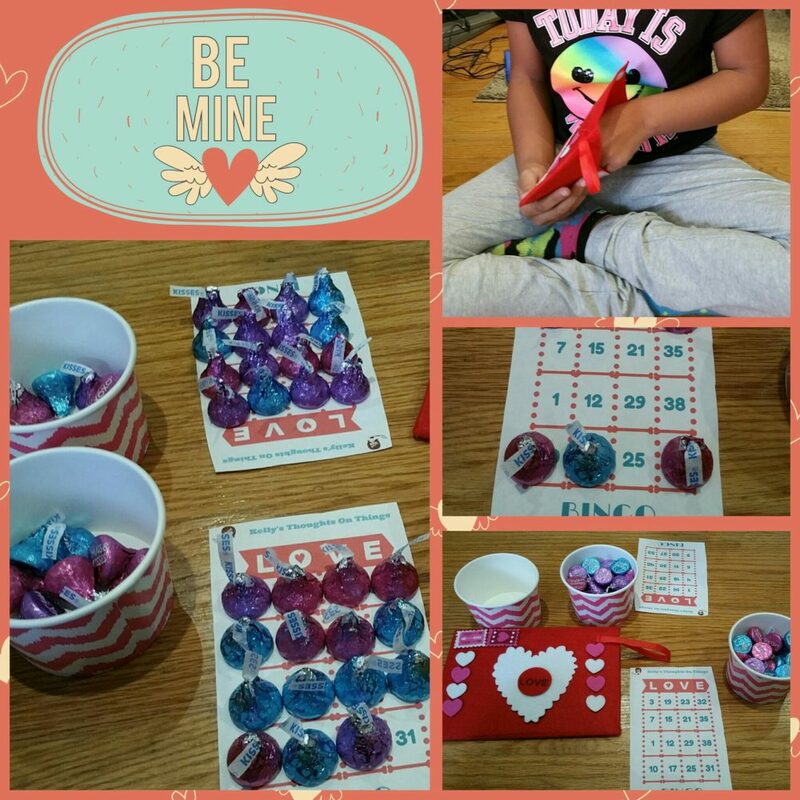 My daughter came up with the LOVE BINGO idea since bingo is her favorite game to play. So I designed bingo cards and numbers to print out. Within minutes, we had our FAMILY NIGHT game ready. It’s not your typical bingo card, but it is so much fun. 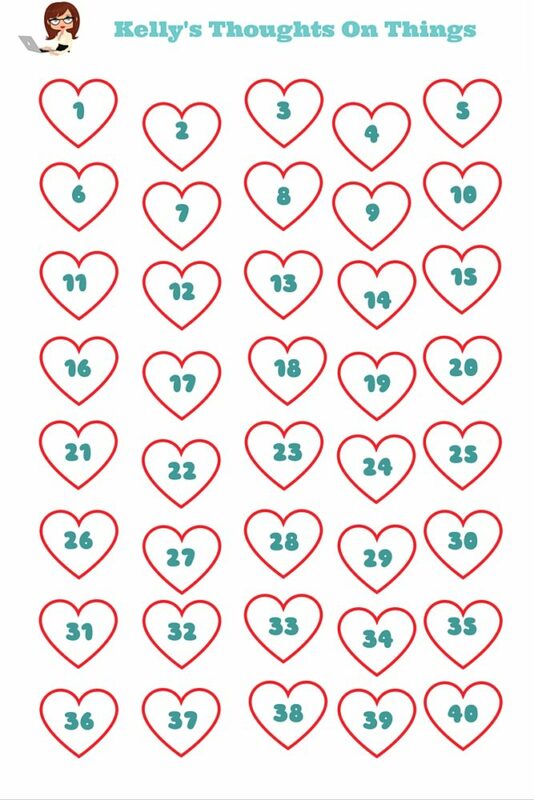 We recommend using the Chocolate Kisses to cover the numbers. We had a lot of fun playing the game and now she wants to bring the Bingo Game to school to play with her friends. 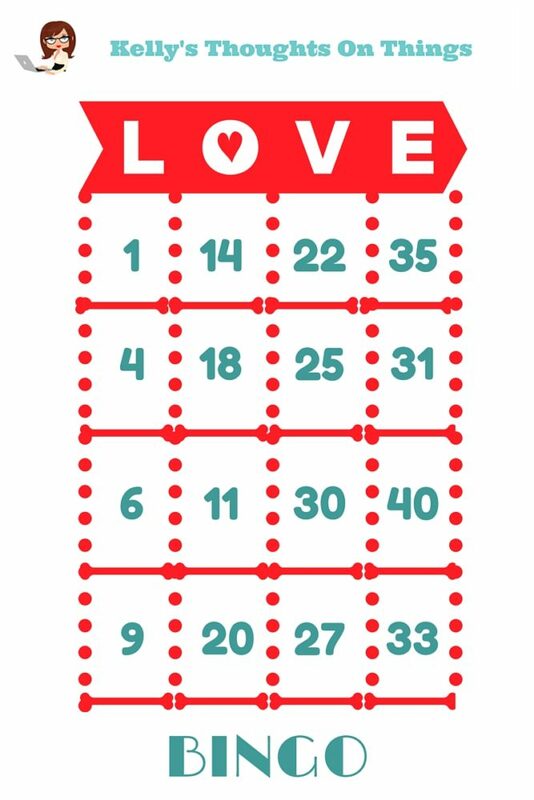 If you would like to download and play LOVE BINGO, please GO HERE. We printed out the cards and numbers then had a good game of LOVE BINGO….now I got the first Bingo but my daughter she wanted to play BLACKOUT so of course she won by only ONE. We made a felt envelope place the Bingo Cards and numbers in there so we won’t lose any pieces. 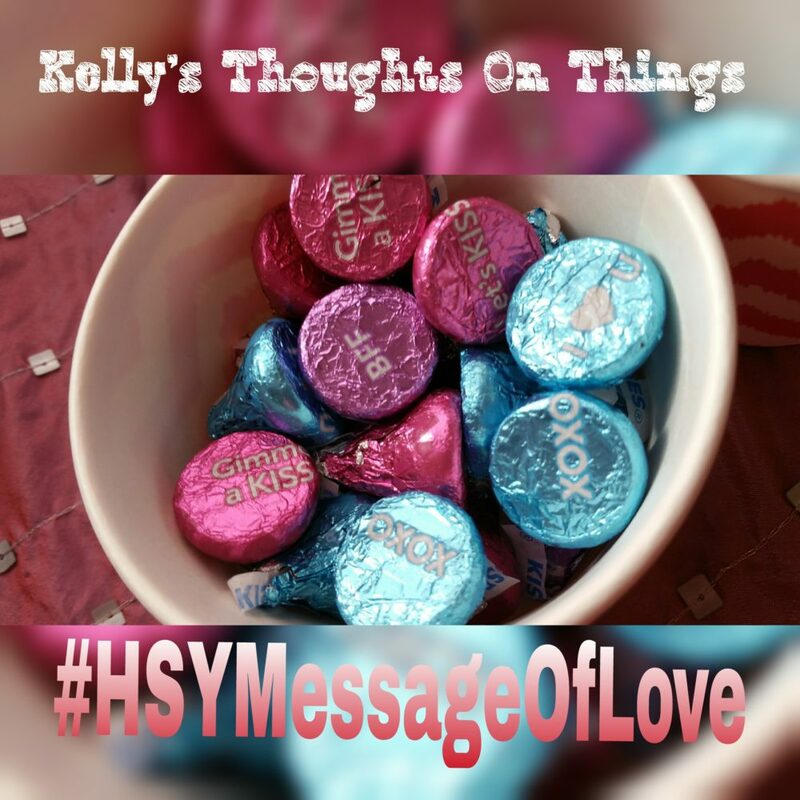 Please Celebrate with Hershey’s and for more information, including recipes, visit CelebrateWithHersheys.com. I love this idea!! The game looks like so much FUN and the best part is you get to eat the pieces afterwards!